There has been high anticipation ever since Evolution Gaming promised to release their high-charged Lightning Roulette version at the ICE 2018. 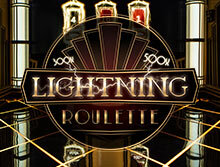 Lightning Roulette is now available on several reputable online casinos such as bCasino. A look at the number of gamers attracted to this game proves that Evolution Gaming has won the audience. This developer has a wide experience in live casino game development and always stives to come up with revolutionary ideas. The higher odds, visually appealing graphics and a variety of new ways to win, huge jackpots, and smooth gameplay are some of the characteristics of their Lightning Roulette. Unlike other versions of live roulette, the dealer does not spin the wheel in Lighting Roulette. It spins automatically. Regardless, you are a novice or an experienced gamers, this variation of roulette will keep you thrilled. Like all other games of chance, you dont require skills to play Lightning Roulette. 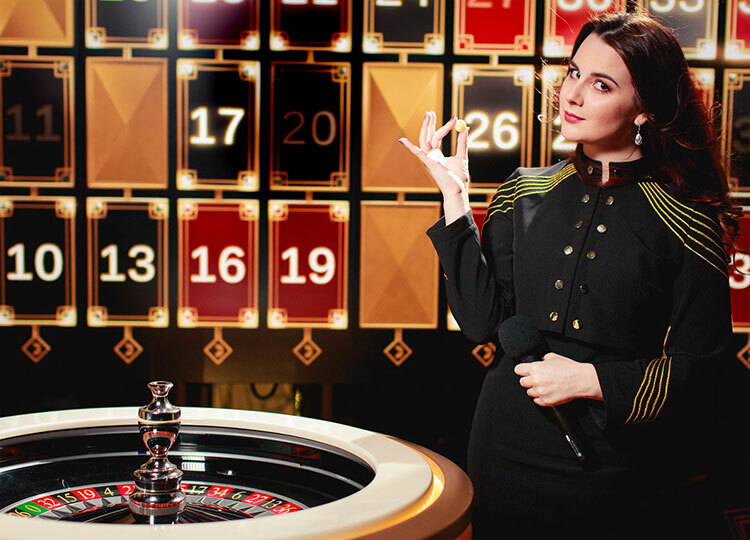 All the standard roulette bets are included, with additional ways to win with new features like Lukcy Numbers and Lucky Payouts. As mentioned above, bCasino is a UK-based online casino that is offering Lightning Roulette among other game variations from Evolution Gaming. This site is owned and operated by GS Technology Group limited company. bCasino is licensed and regulated by the UK Gambing Commission and all customer information and transactions are protected by Secure Socket Layers encryption software. They offer a wide range of casino games from Evolution Gaming among other notable software developing companies. One thing that will attract you to this UK-based casino site is their generous bonuses and promotional offers. Also, they the best customer support team who work around the clock to ensure that all questions from players are answered on time. Lightning Roulette is a game of its ow kind. The developer has blended the modern live roulette with advanced Random Number Generator (RNG) software to offer an exceptional gameplay. The user interface is very attractive and thrilling, and it is set on a beautiful black and gold Art Deco backrgound. The fine blend of black and gold coor wil give you the feel of a real brick and mortar casino from the moment the game launches. You will occassionally hear sounds of thunder and flashes of lightning to indicate a chance to hit one to five numbers and win big. One unique aspect about this roulette version is that it can be played by a virtually unlimited number of players. Additionally, the Direct Game Launch allows you to welcome gamers from your Live Casino lobby but also from links from any website, social media, email, text message. With merely a year in the market, Lightning Roulette has received severa awards such as the Product Innovation of the Year the Global Gaming Awards and G2E Las Vegas and EGR's Game of the Year 2018. Evolution Gaming have done a remarkable job not just on the graphics but he payouts too. The game also comes with the common roulette elements like the live wheel, the live dealer, and the different types of bets. There are also additional features for extra chances to win. Each game round has between one to five Lucky Numbers which are struck by lightning and the payouts multiplied by between 50 times and 500 times. The real casino environment, excellent sound effects are some of the things that will electrify your gaming experience. Lightning Roulette utilizes the bets similar to the ones in a standard Live European Roulette game. Nevertheless, they have extra ways to win via Lucky Numbers which are randomly generated as well as Lucky payouts. Once all the player bets are accepted, the amount of Lucky Numbers, the Lucky Numbers, and the Lucky Payouts are randomly generated. For each Lucky Number, one of the Lucky Numbers receives a payout of between 50. It will pay out 500:1 if the ball lands on the Lucky Number and the player has placed a Straight Up Bet on that specific number. Evolution Gaming have many years of experience in developing live dealer casino games. This has helped them to build games with video feeds and well-syncronized sound effects. The games are visually appealing, interactive, easy to control and with great functionalities. The section at the bottom of the screen is the betting area. It has a traditional layout and a Racetrack for placing special bets. There is an additional gimmick to give the feel of what other punters are betting on. Moreover, the detailed statistics is based on outcome of the last 500 rounds. This helps in producing an overview of all winning numbers plus the Lucky Numbers, their hit frequency, and their winning percentages. The buttons at the top on the screen allows the player to adjust the view mode, video quality, and sound effects. Playing at bCasino will give you access to native English Speaking dealers who are energetic, friendly, very entertaining, and with great sense of humor. the live chat window will enable you to commuincate with the dealers at anytime you want. There are many types of bets you can use when playing Live Lightning Roulette. They cover different numbers and each bet comes with a a unique payou rate. The main two main types of bets are the inside and outside bet. All bets which are placed on the number spaces on the betting area, on the lines between them are known as the Inside bets. On the other hand, bets placed on the special boxes and the side of the main box are the Outside bets. The payouts are slightly lower compared to standard roulette tables. If you are looking for a chance to win big, Lightning Roulette is the right match for you. It comes with a muliplier of up to 500 times. At bCasino, you will find a wide collection of Evolution Gaming live dealer games with incredible bonuses and promotional offers. Moreover, our site supports multiple currencies and languages to allow players from around the world to play without any problems.